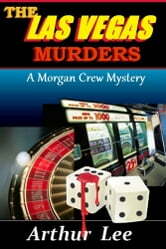 A series of murders at an exclusive High Rollers casino in Las Vegas has one of Morgan’s cousins in jail, accused of one of the deaths. Morgan is sent by his family to help the boy. He discovers massive thefts from the casino which he and his family own. At the turn of every page Morgan and his wife are drawn deeper into the morass, mystery and danger. The heat of the desert, throughout the day and dark nights, add to the environment of peril in a novel you won’t want to put down until the very surprising and shocking ending.